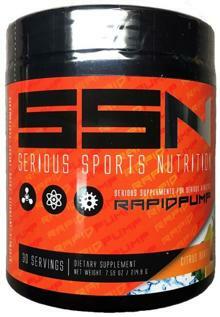 Rapid Pump is the perfect add-on to your pre workout. Just mix one scoop of Rapid Pump to any stimulant-based pre workout and you will have the most amazing pump of your life. 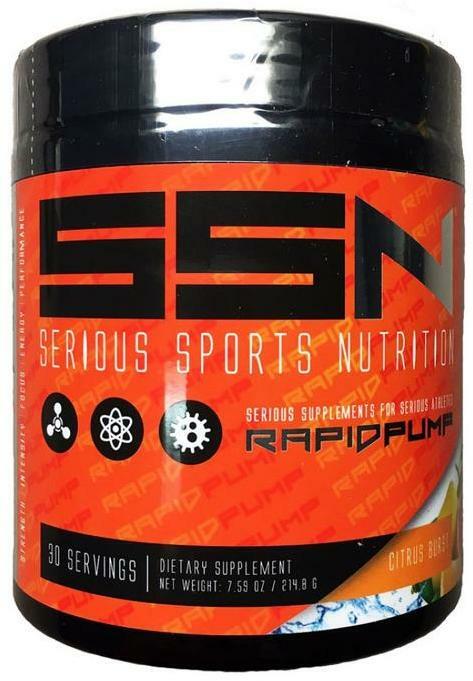 Rapid pump is 100% non-stimulant, so it can be used for late night workouts or when cycling off stimulant-based pre workouts as well. Hydromax is one of the top nitric oxide boosting ingredients on the market. Users report enhanced blood flow and insane muscle pumps. Hydromax smaller optimal dosage gives it an edge over Citrulline which needs 2-3x the dosage to achieve the same effect. Agmatine is a proven Nitric Oxide booster used in some of the top pre workouts. Like Hydromax, Agmatine does not require a large dosage to be effective with 1-2g being the sweet spot for most users. Nitrosigine is the branded form of Arginine Silicate. Nitrisigine has made a name for itself as an effective nitrate designed to increase Nitric Oxide Levels. Nitrosigine is generally paired with Hydromax as an effective 1-2 punch for enhancing muscle pumps. Other Ingredients: Silica, Tartaric Acid, Citric Acid, Natural and Artificial flavoring, sucralose, FD&C Yellow #5, Acesulfame Potassium, FD&C Red #40.